China offers many opportunities for whistleblowers who want to obtain a reward for reporting violations of the Foreign Corrupt Practices Act (FCPA) to the Securities and Exchange Commission (SEC). 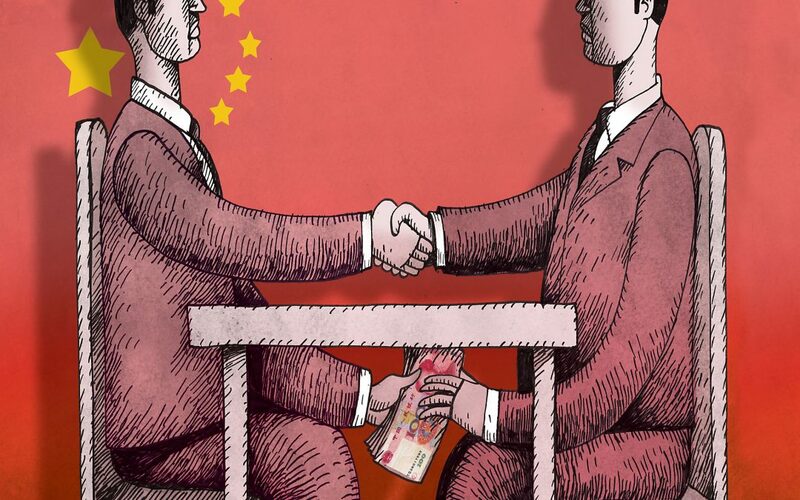 Much of China’s economy is controlled and operated by either the Chinese government directly or indirectly by state-owned companies, which operate in much the same manner as private companies but are controlled by the Chinese government. SEC-regulated companies doing business in China will inevitably have to deal frequently with government agencies, regulators, and state-run businesses. There have been many instances where SEC-regulated companies – in virtually every sector and industry – have bribed Chinese officials and decision makers to obtain business and commercial advantages in violation of the FCPA. Below will discuss three industries where corruption has been particularly rampant and whistleblowers may be able to obtain a reward under the Dodd-Frank whistleblower program. The Chinese government has launched an aggressive campaign to clean up the pharmaceutical sector and its landmark GlaxoSmithKline (GSK) bribery case was part of this crackdown. Prior to launching its investigation into GSK, the Chinese government received a huge assist from a brave whistleblower who sent detailed allegations of corruption to GSK’s Board of Directors, GSK’s auditor, and the Chinese government. The Chinese government fined GSK almost half a billion dollars ($490 million) and arrested several GSK China executives. The Chinese government gave former GSK China Head Mark Reilly a suspended three-year prison sentence and some of GSK’s investigators were given jail time. 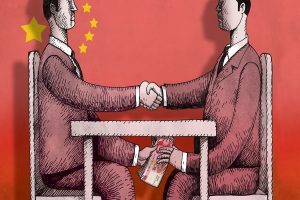 GSK China was found to have engaged in systematic bribery and apologized to the Chinese government and people. Other pharmaceutical companies, such as Sanofi, Pfizer, and Novartis, also have had their operations in China investigated for potential violations of the FCPA. If anyone becomes aware of an SEC-regulated pharmaceutical company paying bribes or giving incentives to anyone to obtain business or a commercial advantage, then he or she should contact me, as this could be valuable information. There have been multiple instances where SEC-regulated medical device companies in China have paid bribes either directly or indirectly to hospital procurement officials to win tenders. Like with pharma, medical device companies have given doctors and hospital administrators cash, trips, gifts, lavish dinners and entertainment, and hired their relatives. Medical device companies also have used distributors and sub-distributors to pay kickbacks to government doctors and administrators in order to win tenders. Typically, a distributor will engage a sub-distributor that was chosen by government procurement officials from a particular hospital and that sub-distributor will inflate the price so there will be sufficient margin to give the procurement officials kickbacks after the tender has been paid. If anyone becomes aware of an SEC-regulated medical device company paying bribes or using one of its channel partners or distributors to bribe Chinese officials, then he or she should contact me. Technology, telecom, and communications (collectively “tech”) companies have been involved in corrupt practices globally, including in China. Similar to the way medical device companies use distributors and sub-distributors to win hospital tenders, tech companies use their channel partners to increase the government end-customer price so that there will be sufficient margin to pay kickbacks to the government officials who were responsible for providing them the tender. Tech often uses channel partners because it is very difficult to prove the kickback scheme when third parties are involved, as third parties often will not cooperate with audits. Tech companies also will often provide government officials trips in order to win business. For example, in 2007, Alcatel-Lucent resolved an FCPA case involving Lucent China bribing Chinese officials to obtain business by providing them international trips, including many trips to the United States. Lucent was found to have spent more than $10 million in order to send roughly 1,000 Chinese officials on overseas trips that had many sight-seeing excursions built into them. If anyone has information about SEC-regulated tech companies (or tech affiliates or channel partners) providing trips or anything of value to Chinese officials, then he or she could contact me. The above discusses just three of the industries where SEC-regulated companies have been involved in bribing Chinese officials in order to obtain business. If anyone has information about an SEC-regulated company – or an agent, subsidiary, or affiliate of an SEC-regulated company – making a payment or giving something of value to a government official, then he or she should contact me at arickman@rickmanlegal.com, as this could be valuable information.